Note: 40+ civilians were killed as a result of the retaliatory Al Qubbah bombings by ISIL. Six Egyptian civilians were among the fatalities. The February 2015 Egyptian airstrikes in Libya against Islamic State of Iraq and the Levant (ISIL) positions in Libya took place on February 16, 2015, and were triggered by a video released by ISIL in Libya a day earlier, depicting the beheading of 21 Coptic Christians from Egypt. Within hours, the Egyptian Air Force responded with airstrikes against ISIL training camps and weapons stockpiles in retaliation for the killings. Warplanes acting under orders from the Libyan government also struck targets in Derna, reportedly in coordination with Egypt. The air strikes had allegedly killed up to 64 ISIL militants, including three of the leadership, in the coastal cities of Derna and Sirte. Libyan media reported that at least 35 more Egyptians had been rounded up by ISIL in retaliation for the air raids. As the airstrikes took place, Egypt's Foreign Ministry called on the US-led coalition striking Islamic State of Iraq and the Levant targets in Syria and Iraq to broaden its scope to North Africa and take action against the extremist group in Libya. In 2011, a NATO-backed uprising toppled Libya's longtime ruler Muammar Gaddafi, and the country has witnessed instability and unrest ever since. Egyptian authorities have long expressed concern over the instability in eastern Libya spilling over into Egypt due to the rise of jihadist movements there, a region which Cairo believes to have developed into a safe transit for wanted Islamists following the 2013 coup d'état in Egypt that ousted Muslim Brotherhood-backed president Mohamed Morsi. There have been numerous attacks on Egypt's trade interests in Libya which were rampant prior to Gen. Khalifa Haftar's Operation Dignity offensive in May 2014, especially with the kidnapping of truck drivers and sometimes workers were murdered. In addition to this, arms smuggled from Libya, including rockets and anti-aircraft weaponry, have flooded Egypt's black markets through the porous border both countries share, often reaching extremist militants in the Sinai region of Egypt who heavily rely on these weapons. Due to this, the military-backed government in Egypt had many reasons to support Haftar's rebellion. Furthermore, Egyptian President Abdel Fattah el-Sisi, who has become increasingly popular among many Libyans wishing for stability, has called on the United States multiple times to intervene militarily in Libya, warning that the country was becoming a major security challenge. He previously vowed not to allow the turmoil there to threaten Egypt's national security. Following the seizure of Tripoli's international airport by Misrata-based Islamist militias, the United Arab Emirates and Egypt were accused by senior American officials in August 2014 of raiding the militants several times with warplanes stationed in Egyptian air bases. The New York Times also reported, quoting US officials, that a special forces team based in Egypt, likely involving Emirati personnel as well, stormed an Islamist camp in Derna, destroying it a few months prior to the August airstrikes. On 12 February 2015, the Islamic State released a report in their online magazine Dabiq, showing photos of 21 Egyptian Coptic Christians they had kidnapped in the city of Sirte and whom they threatened to kill to "avenge the [alleged] kidnapping of Muslim women by the Egyptian Coptic Church". Three days later, a video showed up purportedly showing the beheading of the captives on a beach. The Coptic Church of Egypt confirmed the deaths, while Al-Azhar condemned the incident. Sisi announced a seven-day period of national mourning and called for an urgent meeting with the country's top security body. The beheadings came a day before Egypt signed a $5.9 billion arms deal to purchase 24 Dassault Rafale warplanes from France, making it the first foreign sale for the French jet. Egypt also bought a FREMM multipurpose frigate as well as missiles. The deal is believed by analysts to be an attempt by Sisi to both upgrade Egypt's military hardware and to diversify its suppliers. Patricia Adam, president of the French parliament's defense committee, said that Egypt needed planes quickly. "You just need to take a look at what's happening at its border. They are especially worried by what's happening in Libya," she said. French defense minister, Jean-Yves Le Drian, said that the Copts' execution was one of the reasons why the Egyptian government wanted to boost its security. Egyptian President Abdel Fattah el-Sisi called for an urgent meeting of the country's National Defence Council and said in a televised address that Egypt "reserves the right to respond in the method and timing it deems suitable for retribution from these killers," following ISIL's release of the beheadings' video. Hours later, six Egyptian F-16 jets, in coordination with the Libyan air force, launched airstrikes on ISIL targets early on February 16. Egypt's raids were focused on Derna, while the Libyan jets pounded ISIL positions in Sirte and Bin Jawad. Egypt's military said in a statement that the airstrikes were "precise" and that the warplanes returned safely to Egyptian territory after the mission. The statement added that training camps and weapons and ammunition caches were among the targets. Warplanes acting under orders from the "official" Libyan government also struck targets in Derna, reportedly in coordination with Egypt's airstrikes. A Libyan official stated that more joint airstrikes would follow. The first wave of Egyptian airstrikes killed up to 81 ISIL fighters, according to the Libyan military. Libya's air force chief, Saqr Geroushi, claimed that 40 to 50 people had been killed. Al Jazeera reported that seven civilians were killed during the airstrikes, including three children. The Human Rights Watch called on the Egyptian and Libyan authorities to carry out an investigation into the civilian casualties resulting from the raids, stating that "any military engagement with ISIS should take all possible steps to spare civilian lives". Local media reports from Libya, which emerged the day the airstrikes were conducted, claimed that 35 more Egyptians, mainly farm workers, have been kidnapped in areas controlled by groups such as Ansar al-Sharia and ISIL. Libya Herald reported that seven Egyptians initially went missing, but that the number later rose to thirty-five. On February 20, three Egyptian engineers working for a French company in Libya have been kidnapped on their way to Sabha in the southeast. Egypt's foreign ministry later confirmed the abduction and said that it contacted Libyan authorities to identify the group behind the incident. Libya Dawn militias have allegedly attacked an airstrip and another location in the city of Zintan, which is allied to the Egyptian-backed parliament in Tobruk, possibly in response to the Egyptian air raids, forcing the cancellation of a flight scheduled to take off from the city's airport. The plane was carrying Egyptian and Libyan citizens for their safety. A spokesman for the Libya Dawn-backed government in Tripoli said that two or three MiG jets, possibly leftovers from Gaddafi's air force, were used in the operation. On February 20, at least 40 people have been killed in three bomb attacks by ISIL militants in the town of Al Qubbah. The bombs targeted a petrol station, a police station and Libyan MP Aguila Saleh Issa's residence. It was one of the deadliest attack in Libya since the end of the 2011 civil war. ISIL said that the attacks were carried out in retaliation to the Egyptian raids. Six Egyptians were identified among the fatalities in the attacks, and their bodies have been repatriated to Egypt via the Sallum border crossing. French president François Hollande and Egypt's Sisi called for a United Nations Security Council meeting following the airstrikes to discuss the situation in Libya and seek out new security measures against ISIL. Sisi later called for a United Nations resolution allowing for an international intervention in Libya. "There is no other choice, taking into account the agreement of the Libyan people and government and that they call on us to act," he said. However, the governments of France, Germany, Italy, Spain, the United Kingdom and the United States issued a joint statement calling for a political resolution to the conflict in Libya. Jen Psaki, the US State Department spokeswoman, said in a statement: "We certainly respect the right of countries to make their own decisions about their own self-defence and defence of their own country". However, the Obama administration declined to openly support Egypt's airstrikes. Russia's president Vladimir Putin expressed in a letter to Sisi his country's "readiness for closest cooperation possible in the fight against all aspects of the terrorism threat." The Arab League supported Egypt's bombing of Libya, expressing its "full understanding" of the Egyptian government's position. The body also called for the lifting of an arms embargo on the Libyan national military, which was imposed by the United Nations and the European Union in 2011, during an emergency meeting in Cairo. However, a diplomatic row evolved between Egypt and Qatar over the airstrikes. During the Arab League meeting, a Qatari foreign ministry official expressed his government's reservations over unilateral military action by Egypt, adding that this could "give an advantage to one side in Libya's conflict". The tensions culminated with Qatar recalling its ambassador from Cairo for "consultations", and Egypt's envoy to the Arab League, Tareq Adel, accusing Qatar of "supporting terrorism". Abdullatif bin Rashid Al Zayani, Secretary-General of the Gulf Cooperation Council (GCC), allegedly came in Qatar's defense and criticized Egypt's labeling of Qatar as a terrorism sponsor. He described the Egyptian diplomat's remarks as "a false accusation that defies the truth and ignores the sincere efforts that Qatar exerts to fight terrorism and extremism at all levels". Hours later, however, Zayani denied releasing such a statement, which was later removed from the GCC's website, and reiterated his support for the Egyptian government. Bahrain's state media reported that the "false statement attributed to Al Zayani" was due to Qatar's control over the website. 1 2 3 4 "Libyan air force loyal to official government bombed targets in eastern city of Derna". Ynetnews. 16 February 2015. Retrieved 16 February 2015. 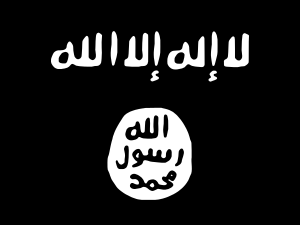 ↑ "Major Libyan Jihadist Group Declares Allegiance to ISIS - The Tower". The Tower. Retrieved 30 July 2015. ↑ "Libyan air force joins air strikes - more bombings planned". ITV News. 16 February 2015. Retrieved 18 February 2015. ↑ "Islamic State Expanding into North Africa". Der Spiegel. Hamburg, DE. 18 November 2014. Retrieved 25 November 2014. ↑ "ISIS comes to Libya". CNN. 18 November 2014. Retrieved 20 November 2014. 1 2 "Islamic State Sprouting Limbs Beyond Its Base". The New York Times. 14 February 2015. Retrieved 13 March 2015. 1 2 "Egypt: Six F-16s Used in Libya Airstrikes - Egyptian Military Source". allAfrica. 16 February 2015. Retrieved 19 February 2015. 1 2 "Egyptian air strikes in Libya kill dozens of Isis militants". The Guardian. Retrieved 17 February 2015. ↑ "Libya: Egyptian troops launch ground attack in Isis-held Derna 'capturing 55 militants'". International Business Times UK. Retrieved 25 February 2015. ↑ "Seven killed in Egyptian air strikes on Libyan city: Amnesty". Reuters. Retrieved 30 July 2015. 1 2 "Libya violence: Islamic State attack 'kills 40' in al-Qubbah". BBC. 20 February 2015. Retrieved 21 February 2015. 1 2 3 "Three Egyptian Engineers Abducted In Libya". Egyptian Streets. 21 February 2015. Retrieved 23 February 2015. 1 2 "Egypt bombs Islamic State targets in Libya after beheading video". Washington Post. 16 February 2015. Retrieved 17 February 2015. ↑ "Egypt vows to punish attackers in checkpoint assault". Agence France-Presse. Yahoo News. 20 July 2014. Retrieved 20 July 2014. ↑ Hanafi, Khaled (July 23, 2014). "Egypt and the Libyan threat". Al-Ahram Weekly. Archived from the original on August 8, 2014. Retrieved July 31, 2014. ↑ Fadel, Leila (12 October 2011). "Smuggled Libyan weapons flood into Egypt". The Washington Post. Retrieved 20 February 2015. ↑ Lucas, Ryan (16 February 2015). "Here is ISIS's reach into North Africa". Business Insider. Retrieved 20 February 2015. ↑ Dali, Mustafa (May 22, 2014). "Will Egypt intervene in Libya crisis?". Al-Monitor. Archived from the original on July 18, 2014. Retrieved July 31, 2014. ↑ Laessing, Ulf (May 26, 2014). "In lawless Libya, Egypt's Sisi becomes a star". Reuters. Retrieved July 31, 2014. ↑ Westall, Sylvia; Fick, Maggie; Heinrich, Mark (May 24, 2014). "Sisi says Egypt will not allow threats to security from Libya". Reuters. Archived from the original on August 8, 2014. Retrieved July 31, 2014. 1 2 Kirkpatrick, David D.; Schmitt, Eric (25 August 2014). "Arab Nations Strike in Libya, Surprising U.S.". The New York Times. Retrieved 25 August 2014. ↑ Beach, Alastair; Morajea, Hassan (25 August 2015). "Egypt and UAE 'launched air strikes against Libyan Islamists'". The Daily Telegraph. Retrieved 7 March 2015. ↑ Bender, Jeremy (25 August 2014). "Egypt And The United Arab Emirates Bombed Libya, And Qatar Could Be A Big Part Of The Reason Why". Business Insider. Retrieved 7 March 2015. ↑ "Egypt and UAE have been conducting secret air strikes on Libya – report". RT. 25 August 2015. Retrieved 7 March 2015. ↑ El-Gundy, Zeinab (12 February 2015). "Islamic State publishes report on Coptic Egyptian workers kidnapped in Libya". Al-Ahram. Retrieved 16 February 2015. ↑ "Egyptian Church confirms 21 killed in Libya after Islamic State issues video". Reuters. 15 February 2015. Retrieved 16 February 2015. ↑ "Islamic State: Egyptian Christians held in Libya 'killed'". BBC. 15 February 2015. Retrieved 16 February 2015. ↑ Irish, John; Hepher, Tim (13 February 2015). "Libya conflict, order gap spurred French Rafale sale to Egypt". Reuters. Retrieved 21 February 2015. ↑ Malti, Djallal (16 February 2015). "France inks jet sale to Egypt as Cairo bombs IS". Yahoo News. Retrieved 21 February 2015. ↑ Rayman, Noah (14 February 2015). "The Real Reason Egypt Is Buying Fighter Jets From France". TIME. Retrieved 21 February 2015. ↑ ""Egypt reserves the right to respond" to Libya killings - Sisi". Aswat Masriya. 16 February 2015. Retrieved 23 February 2015. ↑ Mostafa, Mahmoud (16 February 2015). "Airstrikes hit 3 coastal Libyan cities". Daily News Egypt. Retrieved 23 February 2015. ↑ Nader, Aya (16 February 2015). "Egypt strikes Islamic State in Libya". Daily News Egypt. Retrieved 23 February 2015. ↑ "Egypt's Military Strikes ISIS In Libya". Egyptian Streets. 16 February 2015. Retrieved 23 February 2015. ↑ Daraghi, Borzou; Saleh, Heba (16 February 2015). "Egyptian air strikes target Isis in Libya". Financial Times. Retrieved 23 February 2015. ↑ Fahmy, Omar; Bayoumy, Yara (16 February 2015). "Egypt strikes back at Islamic State militants after beheading video, killing dozens". The Sydney Morning Herald. Retrieved 19 February 2015. ↑ "Civilians killed as Egypt launches air strikes in Libya". Al Jazeera. 17 February 2015. Retrieved 19 February 2015. ↑ Nader, Emir; Zaki, Menna (17 February 2015). "HRW calls for investigation into civilian deaths from Egyptian airstrikes". Daily News Egypt. Retrieved 19 February 2015. ↑ Mezzofiore, Gianluca (16 February 2015). "Libya: More Egyptians 'kidnapped by IS or Ansar al-Sharia' after Egypt airstrikes". International Business Times. Retrieved 19 February 2015. ↑ "35 more Egyptians 'detained' in Libya: State media". Daily News Egypt. 17 February 2015. Retrieved 19 February 2015. ↑ Magdi, Nourhan (21 February 2015). "3 Egyptian engineers allegedly kidnapped in Libya". The Cairo Post. Retrieved 23 February 2015. ↑ "Militias respond to Egyptian airstrikes, attack Libyan airport". Daily News Egypt. 18 February 2015. Retrieved 19 February 2015. ↑ Kirkpatrick, David D. (17 February 2015). "Islamist Faction in Libya Now Strikes From the Sky". The New York Times. Retrieved 23 February 2015. ↑ "Bodies of 6 Egyptians Killed in Libya Blasts Returned". allAfrica. 21 February 2015. Retrieved 23 February 2015. ↑ "France, Egypt call for U.N. Security Council meeting on Libya". Reuters. 16 February 2015. Retrieved 21 February 2015. ↑ "Egypt's Sisi calls for Libya coalition under U.N. mandate". Reuters. 17 February 2015. Retrieved 21 February 2015. ↑ El-Ghobashy, Tamer (19 February 2015). "West Rebuffs Egypt Proposals for Military Intervention in Libya". The Wall Street Journal. Retrieved 21 February 2015. ↑ "U.S. 'Respects Egypt's Right To Self-Defence' After Libya Airstrikes". Egyptian Streets. 18 February 2015. Retrieved 21 February 2015. ↑ Youssef, Nancy A. (19 February 2015). "U.S. Won't Back Egypt's Attacks on ISIS". The Daily Beast. Retrieved 21 February 2015. ↑ "Russia Ready to Cooperate With Egypt in Fight Against Terrorism - Putin". Sputnik. 16 February 2015. Retrieved 21 February 2015. ↑ "Arab League 'understands' Egypt airstrikes in Libya". Journal of Turkish Weekly. 19 February 2015. Retrieved 20 February 2015. ↑ "Arab League Urges Global Community to Lift Ban on Arms Sales to Libya". Sputnik. 18 February 2015. Retrieved 20 February 2015. 1 2 Tolba, Ahmed (19 February 2015). "Egypt, Qatar trade barbs in dispute over Libya strikes". Reuters. Retrieved 20 February 2015. ↑ "Egypt Accuses Qatar Of 'Supporting Terrorism', Qatar Recalls Ambassador". Egyptian Streets. 19 February 2015. Retrieved 20 February 2015. ↑ Kirkpatrick, David D. (19 February 2015). "Gulf Leaders Back Qatar in Its Feud With Egypt". The New York Times. Retrieved 20 February 2015. ↑ "Gulf Countries Declare 'Full Support' For Egypt After 'False' GCC Statement Supporting Qatar". Egyptian Streets. 20 February 2015. Retrieved 20 February 2015. Anderson, Jon Lee (17 February 2015). "Egypt, Libya, and ISIS". The New Yorker. Retrieved 21 February 2015. "The spread of Islamic State: Libya's new agony". The Economist. 21 February 2015. Retrieved 21 February 2015. Eleiba, Ahmed (19 February 2015). "Operation Derna". Al-Ahram Weekly. Retrieved 21 February 2015.